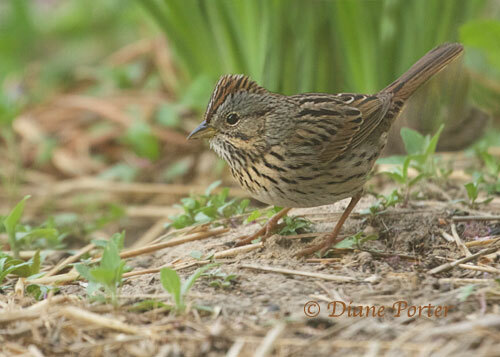 My favorite sparrow sneaks through Iowa in spring. It hangs back in the shade of shrubs. It seldom appears for long, or in bright light. It's not rare, at this season, but it's probably glimpsed 1000 times as often as it is identified. So if you see a smallish, almost dainty, striped sparrow with a subtle buffy band across the breast, you have a Lincoln's Sparrow. And congratulations for noticing it!